Check out the trailer for Sunset Society. The film stars Aaron Groben, Lemmy, Ben Stobber, Ron Jeremy. Phoebe Dollar & Rolfe Kanefsky directs. 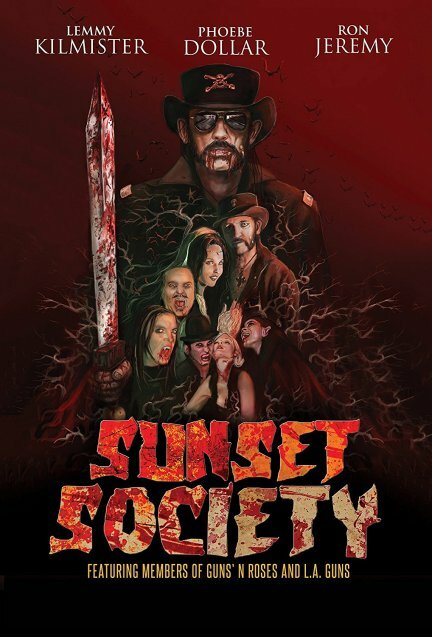 Welcome to the world of the Sunset Society, a secret organization in Hollywood where parties are held, musicians gather and blood flows freely! Ace (Lemmy from "Motorhead") is the head vampire in charge who likes to keep the fun going while keeping the profile low. However, due to a few rebels in his midst, humans are starting to catch on to his vampire ways.